Most of us are familiar with the legendary Hermès Birkin bag, named after the style icon Jane Birkin. 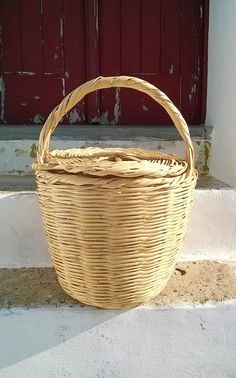 But it was Jane Birkin's simple woven straw basket, which she carried everywhere from black tie events to the market, that began the making of a fashion story that continues today. In 1981 the fashion "It Girl" was by chance seated on a flight next Hermès chief executive, Jean-Louis Dumas. When Birkin placed her straw basket in the overhead compartment everything fell out. This prompted a discussion with Dumas about the difficulty of finding a stylish bag big enough for all her things. Together they began designing a bag, and a legend was born. Incidentally, Birkin only owns one of her namesake bags, because why would you need more than one? No Kardashian excess here. I love her. Jane Birkin's originality and natural je ne sais quoi made her a fashion legend and her style is both enviable and endlessly copied. Through her heyday of the 70s to today, Birkin's style continues to inspire and her "Birkin Basket Bag" has yet again become a statement of style. The Birkin Basket bag has reappeared again this summer, so much that the simple tote has sold out already from several sites and again made the list of it bags. Even before I became enamored with the Birkin Basket, I have been a big fan of summer's wicker bags. Here are five of my favorites, perfect for sunny days ahead! When an email with these little babies landed in my Inbox from the ever tempting ShopBazaar, I was more than smitten. 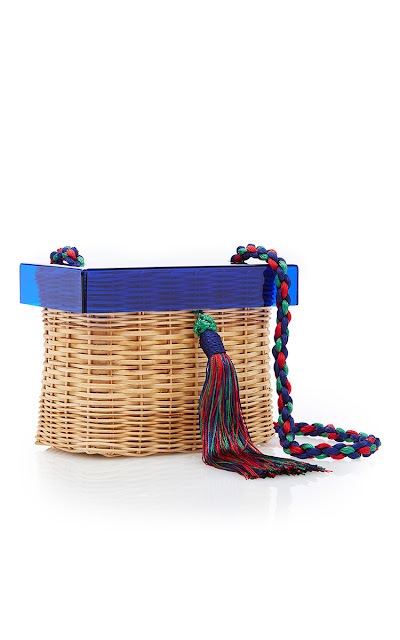 I love the chic little colored leather handle, a modern nod to the original Birkin Basket. I am kind of obsesseed with round bags, and even more so with Clare V. Her bags are so cool and modern, and they always hit the mark. 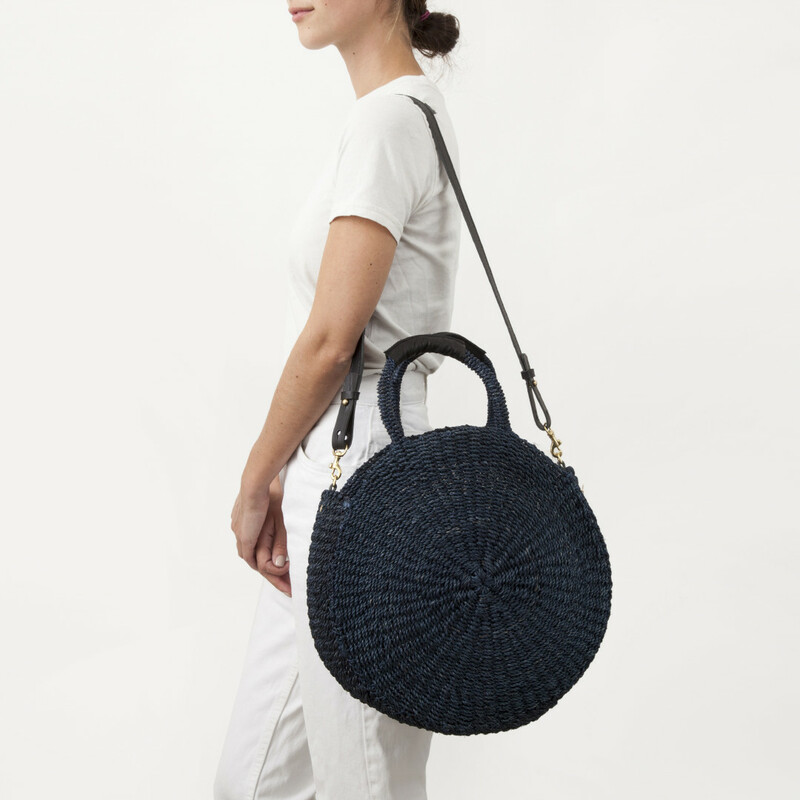 I love the structure of the Clare V. Alice bag, and the navy is pure French chic. This is an investment summer bag, but with good reason. The pop of color acrylic top and suede interior of the WaiWai Betina Bag lend a luxury spin to summer's lighthearted handbag. Etsy has a ton of Birkin Basket inspired handbags, in a range from $40 to $200. The ones from Portugal with attached handles are the closest to the original, and you can find them in all sizes, some embellished with pom poms! 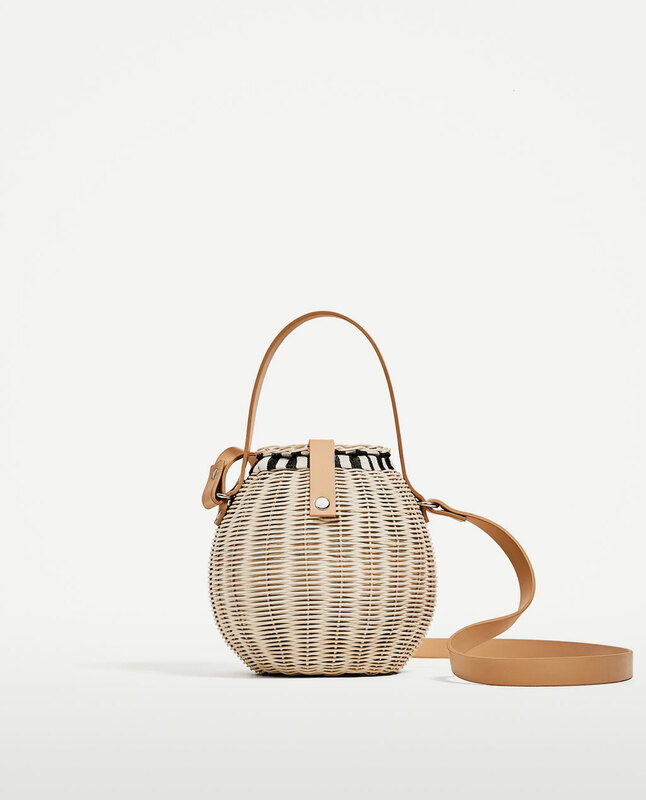 Zara's wicker bucket style cross body has a cheeky lining make this a fabulous little cheap thrill. The lighter raffia color is spot on for summer's lighter hues. And speaking of cheap thrills, I scored the most charming little bag ever while standing waiting for my daughter at Buffalo Exchange. I can't believe someone consigned it because it is so darling, and in pristine condition. Plus, it was $12! This little gem has been traveling all over the city this week with me. I love the tiny wicker bow and cloth drawstring lining. It has become my new summer favorite.